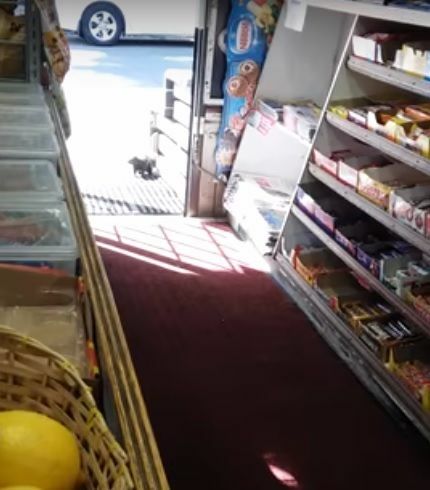 Luke's Grocery, a neighborhood store in Toronto, Canada, has been dealing with an unusual theft problem. They're being robbed blind by squirrels. 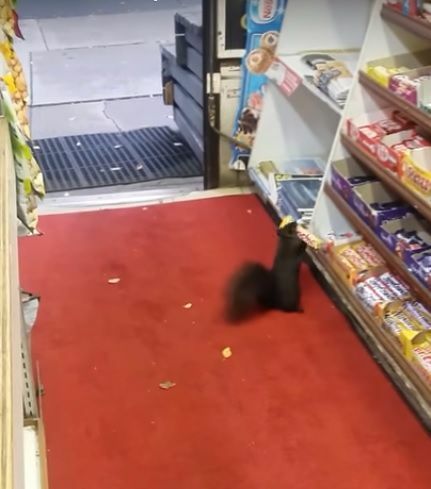 The squirrels try to grab a variety of things, including assorted nuts, but mostly, they get chocolate candy bars. The store owners posted on Reddit on October 3, 2016, asking for advice. Candy bars were going missing. Recently, they had noticed squirrels coming in and snatching the candy. On October 10, they posted a video (see below). The owners' daughter, Cindy Kim, blames her dad. She says the squirrels started showing up when her father put out bird seed for the birds starting six years ago. When the bird seed ran out, the squirrels stayed for the candy. So far, they've snatched over 40 bars, from Crunchies to Kinder Buenos. But they're too quick to catch. Once they grab the chocolate, it's as good as gone. 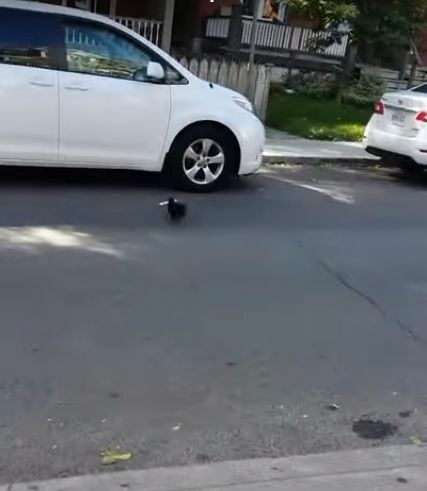 They are outside and up a tree or under a car before anyone can run after them. The owners say they can't always close the door during store hours, as it gets too hot inside the store during the warmer months. During the colder months, when the door is closed and the squirrels stay in the trees, it's not such a problem. 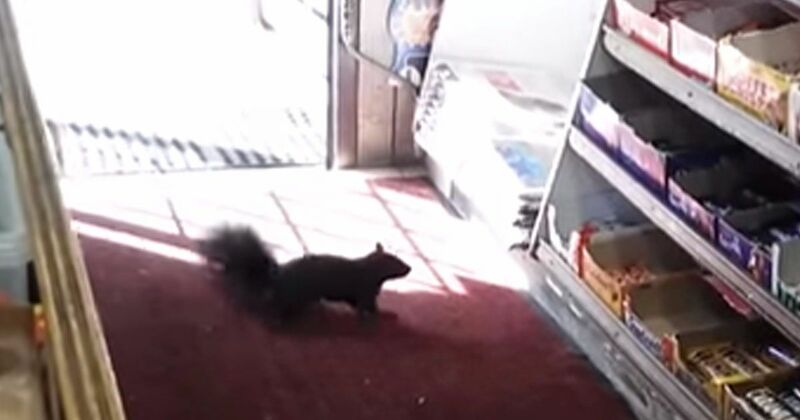 The owners have noticed that there is a pattern before the squirrels come in, where they will catch a squirrel hanging outside on the sidewalk, casing the joint, before making their bid. Lately, the owners have found another way to deal with the problem. Their videos and pictures were such a hit on social media that they became an international sensation. So, they've been able to raise funds to replace the chocolate filched by their neighborhood's furry bandits. All's well that ends well in Toronto.